Arrive at Honolulu airport and make your way to the Outrigger Waikiki Beach Resort. All group hotel rooms are partial Oceanview rooms! No activities are planned for today but arrive early and lounge at the hotel pool or on the beach. Tonight meet and greet your host and fellow vacationers. Then enjoy a wonderful dinner (not included), poolside with live music by legendary Hawaiian entertainers. Enjoy a leisurely breakfast and adjust to the time zone change as we spend the day at our amazing resort located on Waikiki beach. 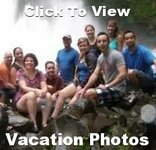 Get your included souvenir tote bag, and coupons for discounts at nearby retailers and attractions then join the group as we kick back and relax on one of comfortable lounge chairs by the beach. Have lunch at one of the three affordable restaurants, partake in one of the lobby activities that might include lei-making, Hawaiian crafts and music workshops. For an extra charge you can take surfing lessons, an outrigger canoe ride or enjoy a beachside massages under a thatched roof. Tonight is our Welcome Dinner at Duke's, Waikiki Beach's legendary gathering place honoring Hawaii's great ocean sportsman, Duke Kahanamoku. After an early breakfast, climb aboard our shuttle and relax as our Hawaiian expert drives us to beautiful locations throughout the island of Oahu. 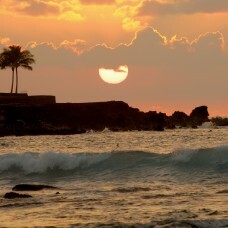 Known as a sightseeing paradise, Oahu has many white sandy beaches and spectacular lookout points. The best part of our day will be swimming and snorkeling with turtles. Get your cameras ready for sweeping views of the coastline, with Diamond Head in the backdrop then the Halona Blowhole Lava Tubes, formed thousands of years ago by molten lava tubes. 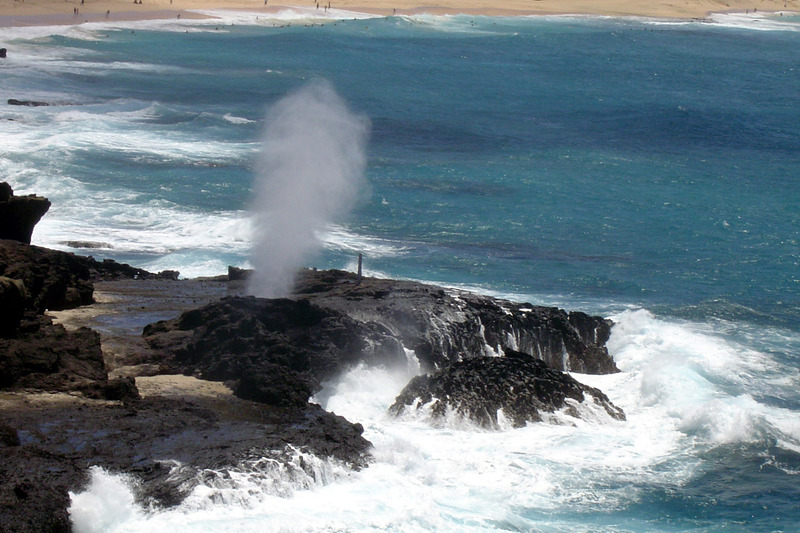 The tubes run to the ocean, and the blowhole can erupt sending a geyser of water up thirty feet high! A humming sound deep in the rocks sounds just before the blowhole erupts. Nearby is a small beach cove, where Green sea turtles are known to rest. After a beautiful scenic drive, we make a quick stop at Tropical Farms, The Macadamia Nut Farm Outlet for delicious coffee, chocolates and Macadamia nut treats. Then we make our way to the northern part of the island for a stop at the tropical fruit stands, which offers ice cold coconuts to drink from, mango’s, and other tropical treats. Then it is time for a lunch break (not included) at the famous North Shore Shrimp Trucks. They may not look like much, but Hawaiian shrimp trucks on Honolulu offer one of Oahu's best delicacies on a paper plate. Try the buttery garlic infused shrimp. A little of sweetness, a little chared, these shrimp are served with a side of rice, and every bit delicious. After lunch, gear up to snorkel with giant Hawaiian green sea turtles and lots of colorful fish and underwater life. The honu, or Hawaiian green sea turtle, is an endangered species of turtle that can be found throughout the Pacific and Oahu serves as a major nesting ground for these turtles. These activities allow us to observe these wonderful creatures without interrupting their habitats. After a day of activities and fun, we return to Waikiki in time to relax before our nightly plans. 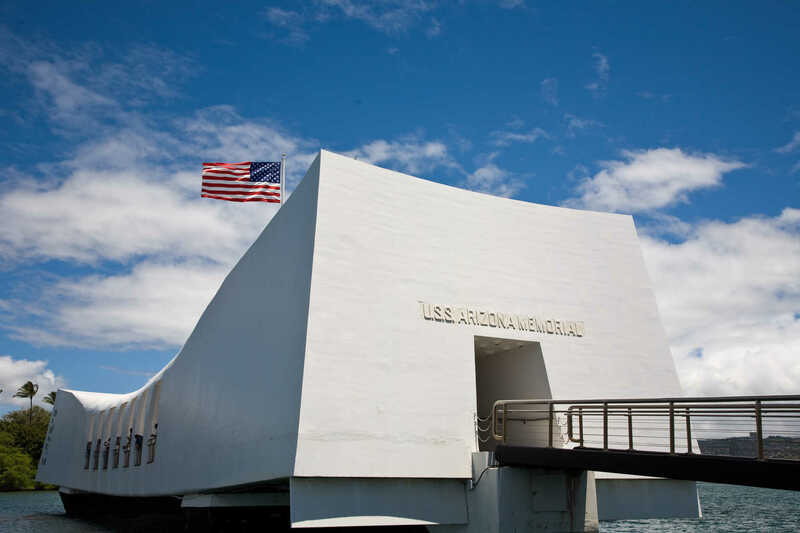 The Pearl Harbor & Honolulu City Tour is one of Oahu's most popular sightseeing experiences and gives you a special look at Honolulu's history.We will travel first to historic Pearl Harbor, where we will have time to tour the renovated Pearl Harbor Memorial Museum and Visitor Center, the hub for all four Pearl Harbor historic sites: WWII Valor in the Pacific National Monument (USS Arizona Memorial), USS Bowfin Submarine Museum, USS Missouri Memorial, and the Pacific Aviation Museum. After our visit, we are off on a fully narrated tour of Honolulu city highlights. We will pass Punchbowl Crater, part of an extinct volcano and now home to the National Cemetery of the Pacific. Downtown see the state capitol and Washington Place, former home of Hawaiian royalty and Hawaii's governors. 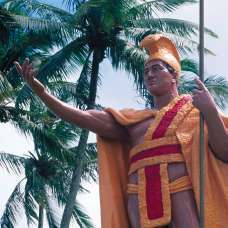 A stop at the King Kamehameha statue allows time to take photos. View Iolani Palace, the only royal palace on American soil (and an attraction that you can visit later using your Go Oahu Card), and Kawaiahao Church, where services are still held in the native Hawaiian language. Our tour winds up with a drive through Chinatown before returning to Waikiki in the early afternoon. Both locals and visitors love the great deals and unique items at Hawaii’s largest open-air marketplace, Aloha Stadium Swap Meet & Marketplace! It’s a Farmer’s Market, Art Gallery, Made in Hawaii Craft Fair, Exotic Bazaar, and Outlet Mall all rolled into one convenient location! This morning we will walk and take the trolley to discover unique treasures at Hawaii’s largest open air flea market With over 400 merchants offering the best values on imported merchandise, hand made items, eclectic art pieces, popular local snacks, and other made in Hawaii products, this is sure to be our one stop destination to find that special gift or souvenir. Free afternoon to enjoy our wonderful vacation resort and the beach at Waikiki. Relax, learn how to surf, paddleboard or take one of the many optional half day tours available. Sleep late or prefer to be more active this morning then join us as we take the trolley to hike Diamond Head. Rising 760 feet with a 3,520-foot crater, this volcano is nothing short of breathtaking. Hiking Diamond Head might first appear to be a challenging all day climb, but these Oahu hiking trails can sometimes be deceiving, as it really only takes about 40 to 60 minutes to reach the summit of the Diamond Head hike. 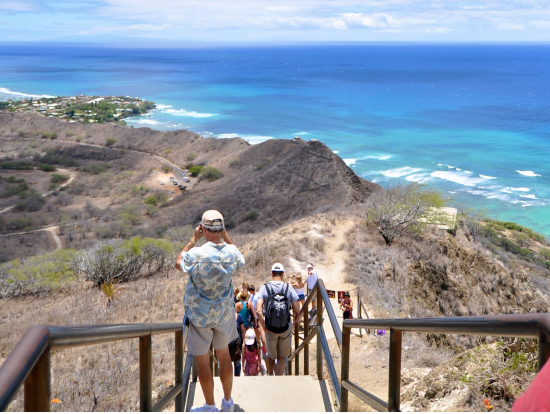 Climb to the top for a panoramic view of Honolulu, Waikiki Beach, the Pacific Ocean and more. The hike is ranked as “easy to moderate” in physical exertion, and offers unparalleled views of the coastline. Take note that while the climb itself requires little exertion, the staircases at the end can be challenging for those not in “peak” shape, and can leave you breathless…though the views at the top will prove worth the climb! From the moment we set foot upon Paradise Cove's 12 oceanfront acres, we’re greeted with a tropical Mai Tai and traditional Hawaiian music to set the festive mood. Casually stroll through the Hawaiian Village and learn the Arts & Crafts of the islands or test your skills at the Hawaiian Games. After the delightful Shower of Flowers, participate in the Hukilau on the Beach and learn the net fishing techniques of old Hawaii. Witness the time-honored techniques of underground oven cooking at the Imu Ceremony. Our evening continues with an Hawaiian feast so bring your appetite to fully enjoy Paradise Cove’s extensive menu which tastefully blends the best of traditional Hawaiian dishes, local favorites and continental cuisine. With the most spectacular Hawaiian sunset as a backdrop, the award-winning performers will entertain and amaze us with an unforgettable display of songs and dances of Hawaii and Polynesian culture. This morning you have two choices, one active and the other relaxing. 1) Get a beach chair or pool lounge and relax under a coconut tree while enjoying the gentle breeze of the trade-winds, all under the backdrop of the famous Diamond Head Volcano. Today you can have either a free three-hour rental of a boogie board, umbrella, chair, or fins, or a 90-minute surfboard rental. 2) Discover the spectacular, untouched beauty of Hawaii on a self-guided 2-mile hike following a mountain stream that runs through a rainforest. A beautiful 150-foot waterfall will be your unforgettable destination. Along the way, we'll pass through gardens lush with tropical fruit trees as well as an ancient Hawaiian dwelling. What's more, we'll even see the settings of several popular films and television shows, from Hunger games to Hawaii Five-O. Enjoy a 10 minute fireworks display on Waikiki beach before we walk to a local restaurant for our Farwell Dinner. This morning is your last chance to catch those final rays Enjoy a complimentary oceanfront yoga class at 7:30am then have breakfast before its time to say Aloha to Waikiki and all your new travel friends. Make your way to the airport, according to your flight schedule as our singles vacation has come to an end.